Ensure the rain and snow have somewhere to drain to by cleaning your gutters. This will minimize the chance of leaks, and remove excess weight/strain from the gutters. Making sure that the water can freely flow through your gutters now, will stop the formation of icicles and ice-build up later. Whether you’re purchasing window insulation kits, or redoing the caulk seals, ensuring you minimize the drafts entering the house through your windows will make it easier for the heat to stay in your house. Drafts can sneak in through any improper seal, so be sure to check your need for draft guards, new seals, and even weather-stripping doors as needed. 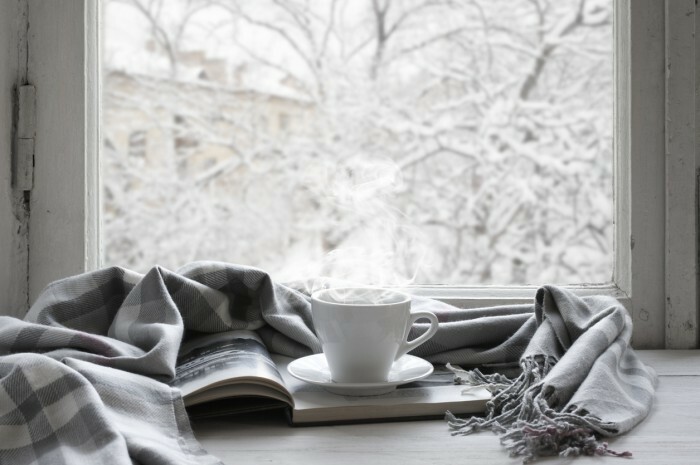 Blocking drafts that may come from improperly sealed doors, windows, and fireplaces can stop up to 70% of your heat and energy from escaping through improper seals – keeping the warm air in, and the cold air out! Extend the life of your patio furniture/BBQ by protecting these items from the elements and storing them indoors this winter. Cleaning up your garage will give you an opportunity for indoor parking. No more scraping ice from the windshields and trying to unbury your car after a snow fall. Parking your vehicle indoors will both keep the vehicle protected, and give you less to do before work in the morning. If you have a fireplace in your house that you plan on using quite frequently this winter, get your chimney/fireplace inspected to ensure that it is safe and clear to use. If your home has a fireplace that you’re not planning on using, block the fireplace with window sealer/insulation kits to help minimize the escaping heat. For more tips on winterizing your fireplace, check here to see what’s important when checking your fireplace before the season. To avoid a messy springtime of sorting through hoses for ones that haven’t cracked, drain the water from your outdoor hoses, and store them indoors for the winter. Pipe insulation kits can be used to keep the water pipes in your home from freezing. Find out everything you need to know about winterizing pipes here. If your home’s main heat source is a furnace, get your furnace ready for winter by making sure that it is running effectively prior to the cold nights ahead. Should your furnace need to be repaired, or replaced – consider applying to make your home more energy efficient using Federal/Provincial Tax Credits to lower the expense of replacing/repairing your furnace. Click here for more information on Energy Savings Plans. Set your thermostat to automatically adjust its’ temperature setting, which can be set to be cooler during the daytime and warmer at night. Don’t wait until the day after a big storm hits to pull out your snow-blower, and shovels. Take a look at them ahead of time – are any of them in need of repairs? Do you have gas in the snow-blower? Salt ready for icy mornings? If not – time to get prepared before the ice hits. Far better to have salt on hand, rather than being reminded that you need it by falling in the morning! A home is a place of warmth and comfort, so keep those chilly winter drafts out this year by winterizing your home. The only thing better than being warm on a cold winter’s night, is your heat is staying inside with you. Don’t get caught up in drafts, get your winterizing done soon, so those -30 evenings feel like summertime.